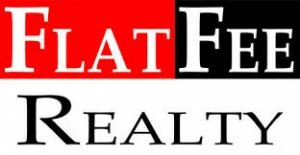 What is a flat fee Denver Realtor? Flat fee and discount real estate listing agency in Denver comes in many different forms. I have been implementing a FULL SERVICE, flat fee and discount real estate model in my Denver real estate practice for over 2 years. I found that what I did to sell homes does not vary greatly no matter the price point. And I wanted to find a good deal that I could offer friends and family. I do not deviate from this structure to avoid the awkwardness of offering one person a better deal than another and having it discovered by the lesser benefiting party. My Denver full service, flat fee real estate model is $5,000 + the 2.8% that I pass through to the buyers’ agent. Here is a video about my full service, flat fee Denver real estate model. 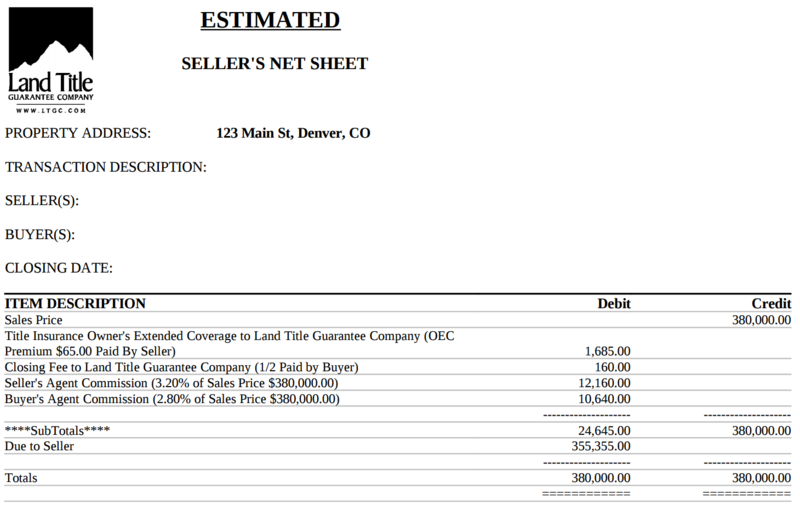 How does the money flow in a real estate transaction in Colorado? You need to know that although both agents are paid at simultaneously at closing, the seller is paying the listing brokerage one large sum, and then the listing brokerage is paying the buyer’s agent out of that amount. The buyer’s agent commission is advertised in the MLS (multiple listing service) with the listing for the house. Buyer’s agents are discouraged from discriminating against showing homes with lower commission rates, but there is no way to know if an agent chooses not to show a home because of the commission rate offered. My bigger fear would be that an agent would speak negatively of a home, pointing out flaws or suggesting it is overpriced, if the commission rate is less than competing homes for sale. In my model I offer the most frequently offered amount in the Denver MLS (recolorado) of 2.8%. 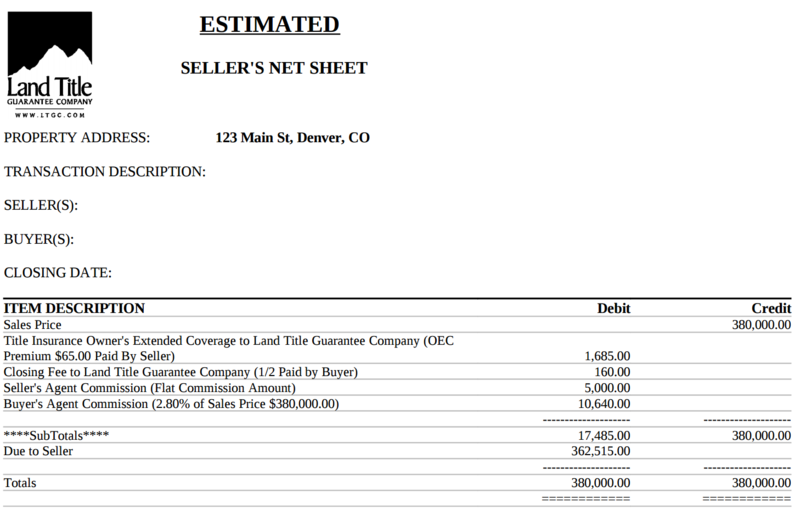 How much does my full service, flat fee real estate model cost metro Denver home sellers? I charge 2.8% + my $5,000 flat fee. Many real estate agencies charge 6% to sell your home. With a sales price of $380,000 (The median sales price April 2017) the total commissions paid with a 6% model would be $22,800. With a sales price of $380,000 the total commissions paid with a 2.8% + $5,000 model would be $15,640, saving the average Denver home seller up to 7,160. But commission savings are meaningless unless all the pieces are place to still sell your home for top dollar. What marketing do I do with my full service, flat fee Denver real estate model to sell homes for top dollar? I implement every marketing strategy I have seen to position all of my listing clients to sell for top dollar and create bidding wars whenever possible. I explain to clients that everybody sees your home online before they see it in person. Photos are the new curb appeal. And quality photography can make a huge difference in how many people come to see the home, which translates into the number and price of offers received. The company I use has talented and experienced photographers with top of the line HD photographic technology. 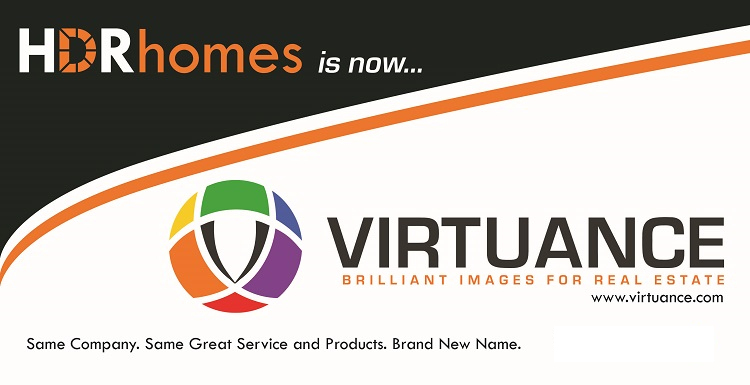 Virtuance also creates floor plans. I find this especially useful for flyers, so that I can encourage potential buyers to take home a flyer and imagine their furniture in the home. 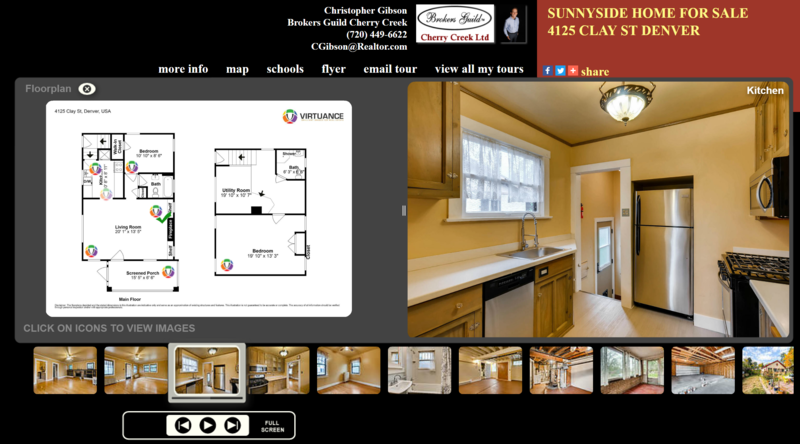 Also the online virtual tour shows on the floor plan where each picture was taken. 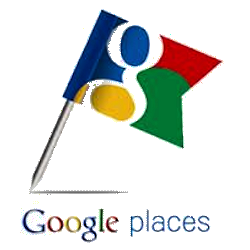 I create the website address of your address.com, for instance www.4125Clay.com. This is displayed on top of the luxury yard arm and on the flyers. It makes it easy for people to remember your address and look up information about your home. This used to mean something but almost nobody uses the old signs anymore. I am a member of 2 local MLS’s: www.recolorado.com & www.iresis.com . In addition to listing on the MLS, the home is displayed on all major public web sites and all agents’ web sites with IDX searches. 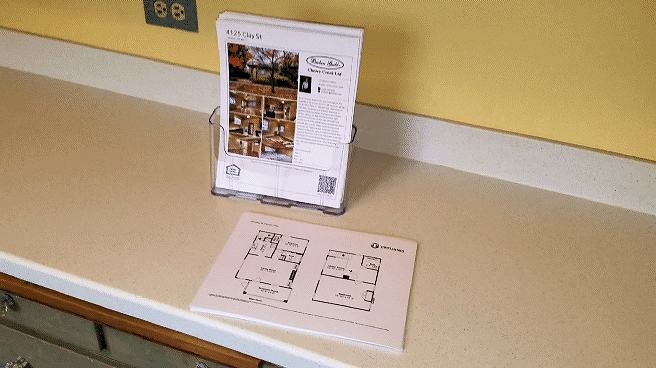 I like a flyer with the floor plan on the back for viewing buyers to take with them. Hopefully they want to think about how well their furniture would fit. I also like them taking something with them that would help them give the home a second thought if they were not initially wooed. I like to do 1 open house. I advertise the open house in the first line of the description, in the MLS, on Zillow, and Realtor.com . There are 2 reasons to do the open house. The first reason I do an open house is to try and find an unrepresented buyer, reducing your total commissions to $10,000. The second, and more common reason, is to enable buyers, whose agents are out of town, to view the home. More than a few times I have received the strongest offers from these buyers and their agents. I use showingtime.com or showings.com for my showing coordination. A barrier remains between you and the buyer’s agent, while utilizing technology to have showing requests immediately sent to you for approval. Both services also have feedback systems and surveys for buyer’s agents to let you and I know what they thought of the home. I am willing to use a manual lockbox or a digital sentrilock lockbox to assist, depending on your preference. 9. E-mails advertising to agents with prospective buyers. 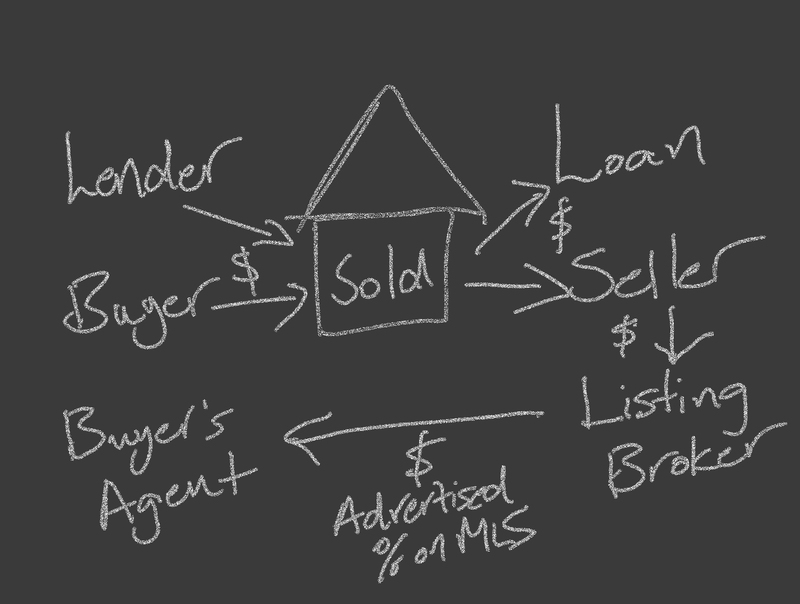 Did you know we enter buyers into the MLS the same as we enter sellers? You probably do know this. A real estate agent has probably set you up with a home search that fit a set of criteria that you provided. Did you know, when I enter a listing into the MLS, I can see a list of agents that have buyers for whom my listing fits their criteria. I am pretty savvy with technology and mailchimp. 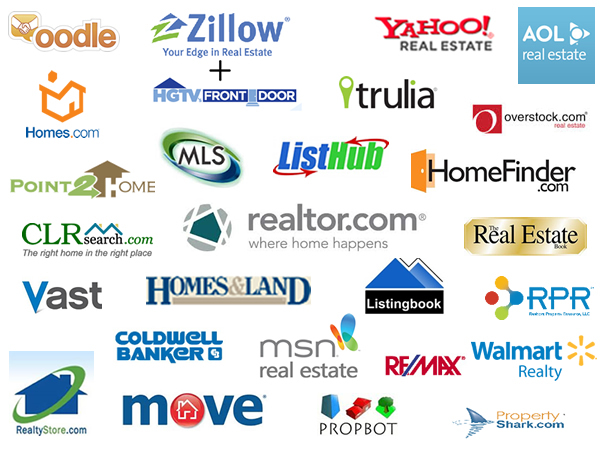 I will send an e-mail blast notifying these agents of my new listing, sometimes 1,000 agents. I will also be able to see the agents who have a client who favorites my listing. I will be reaching out to those agents directly. 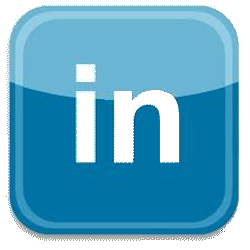 What other services do I offer with my full service, flat fee Denver real estate model? I advise you as to my belief of a realistic sales price and best list price. I assist in the initial and ongoing contractual negotiations. The devil is in the details, and I help you understand how the terms of the contract will affect you. This includes positioning you to buy and sell a home simultaneously if desired. You can terminate your contract with me at any time, if you have not signed an agreement with a buyer. I do not want anybody stuck working with me. I take pride in my work and work as though I could lose my job tomorrow, if I don’t do it today. What are my duties to you as a full service, flat fee Denver Realtor? Counseling Seller as to any material benefits or risks of a transaction that are actually known by Broker. Keeping Seller fully informed regarding the transaction. Any facts or suspicions regarding circumstances that could psychologically impact or stigmatize the Property. 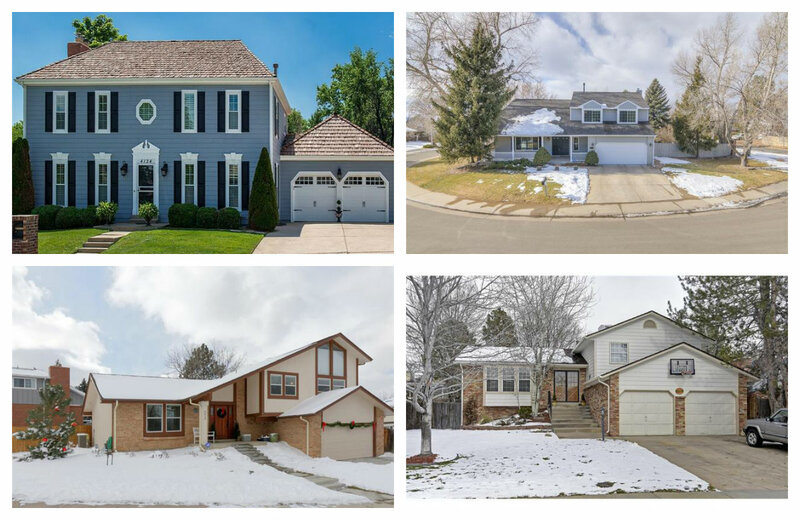 Call or text Christopher Gibson at 720-394-8861 for your free, no obligation, professional HD exterior photos, while there are still leaves on the trees and while yards are still green. Or you can fill out the instant property valuation form below. Or you can e-mail CGibson@Realtor.com. In my opinion there is nothing worse for the pictures of the house than snowy, icy home pictures. Trees are barren. Yards are dormant. Skies are gray. In the winter I overcome this by having one of my first pictures be an interior picture rather than an exterior picture. But, every year I also encourage potential winter and early spring sellers to allow me to have my professional photographer come and get HD exterior shots in the fall. There is no better opportunity to stand out against your competition than with fall leaves, green yards, and blue skies. I will do this service for any potential client. And you are not obligated to use me to sell your home. CONTACT ME! Time is wasting. Seriously, FREE, no obligation exterior professional HD photography. This home was just listed using my luxury flat fee model. I am saving this seller over $17,000. The Reserve At Cherry Creek Vista is an exclusive newer gated community in the mature Greenwood Village neighborhoods just east of the Denver Tech Center (DTC). Nearby schools include Cherry Creek School District: Cottonwood Creek Elementary School, Campus Middle School, and Cherry Creek High School. The desirable brick elevation of this home is the highlight of the amazing curb appeal. Vaulted ceilings and an open layout are perfectly combined with ample cabinet space, modern granite countertops, and stainless steel appliances. Main floor living option with existing full bathroom and laundry on the main floor and office that just needs a closet added. The master bedroom is large, with tray ceilings and a 5 piece bathroom with double vanity. The 3 other bedrooms on the 2nd floor each include walk-in closets and en-suite bathrooms. One of the bathrooms is Jack-n-Jill. 3 stall garage creates an abundance of storage space. And the unfinished basement is ready for you to build equity to your own taste and style. 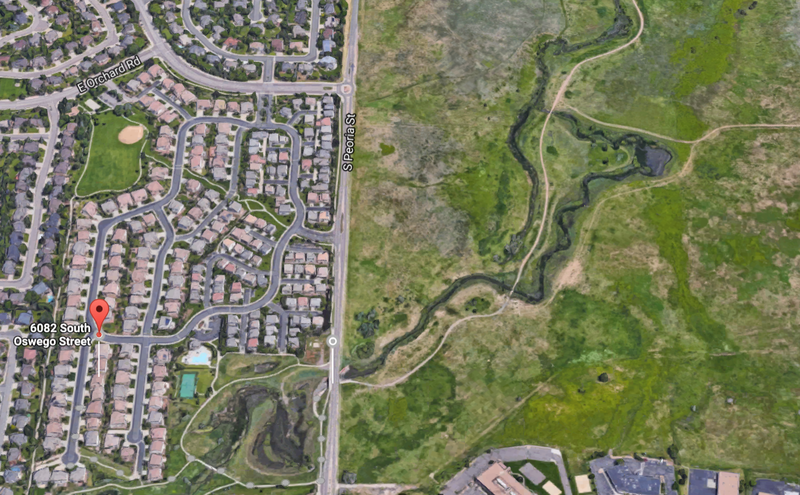 Less than half a mile via the greenbelt at the end of this quiet cul-de-sac to connect with the Cottonwood Trail in Cherry Creek State Park. Home is just about 500 feet from the Cottonwood Groove Swimming Pool, club house, and tennis courts. Original owner. Information is deemed reliable but not guaranteed. Buyer to verify schools, squarefootage, and HOA information. 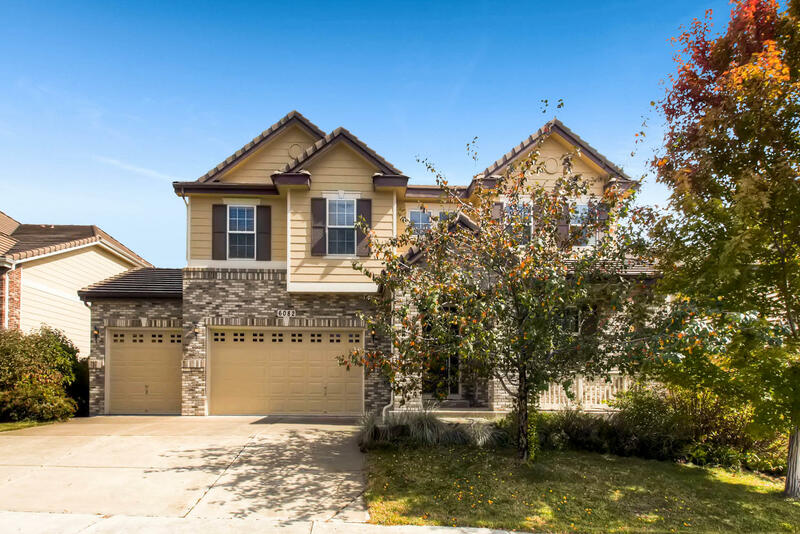 Click here to see more pictures of 6082 S Oswego St.
Christopher Gibson is Realtor and Real Estate Agent in Denver Colorado who offers the full services of a listing agent for a discount flat fee of $5,000. What is a flat fee? 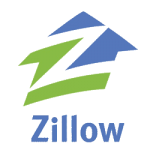 Listing agents usually charge a percentage to list your house for sale. As the sales price of the home increases, so does their commission. 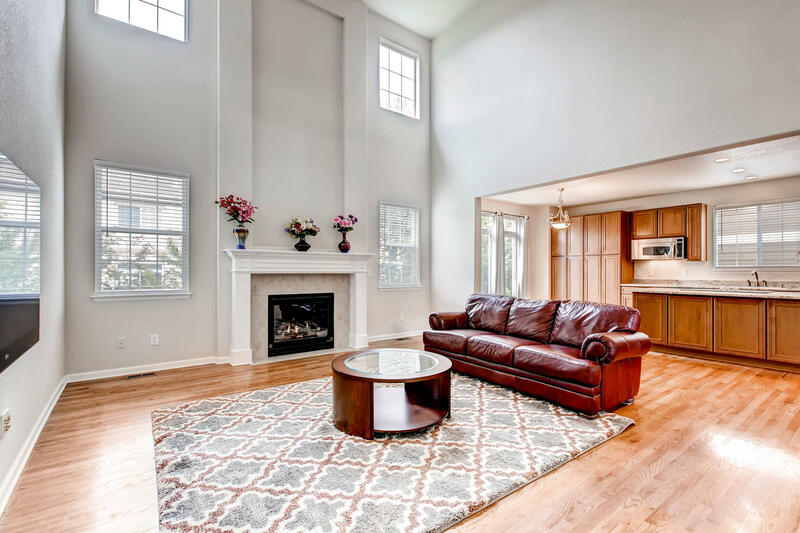 Instead Denver area home sellers can pay the listing real estate agent a flat fee of five thousand dollars to perform all the services of their Realtor and provide high quality marketing. 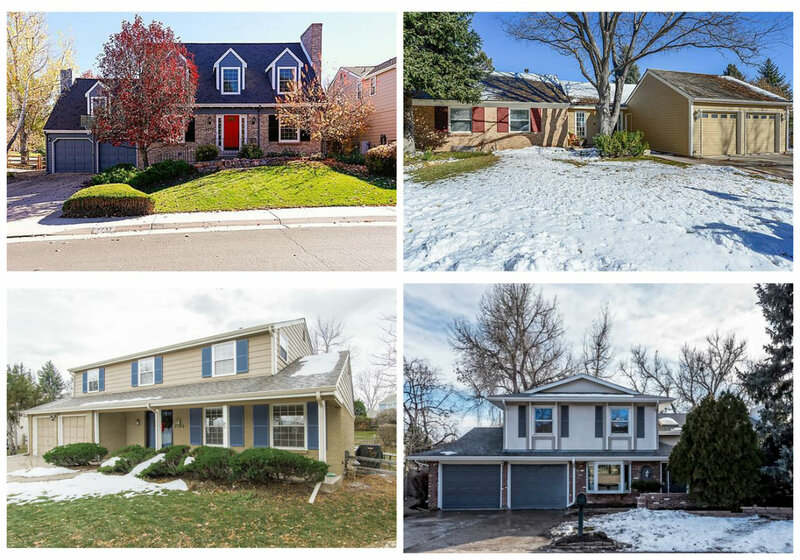 Denver home sellers are also encouraged to offer a cooperating commission to the Buyer’s agent of 2.8%. This model saves Denver homes sellers thousands of dollars in Realtor commissions and fees. Christopher Gibson does not believe the work of a Denver Realtor and Real Estate Agent increases with sales price. By offering a discount flat fee for quality work Denver area home sellers save thousands of dollars without sacrificing the availability, marketing, dedication, or loyalty of a full service Realtor and Real Estate Agent. Learn more about how a flat fee home listing with Denver Realtor and Real Estate Agent Christopher Gibson works here. 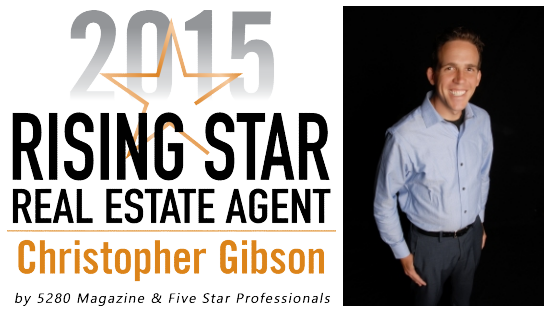 Learn more about what service Christopher Gibson offers for a flat fee as a full service Denver Real Estate Agent and Realtor here. Scroll down to see Whittier neighborhood and Five points neighborhood homes for sale. A brief real estate review of my listing and sale in the Whittier neighborhood. When I met with the seller of 3050 Marion St in the Whittier Neighborhood in Denver I was very excited to see such a beautiful home. 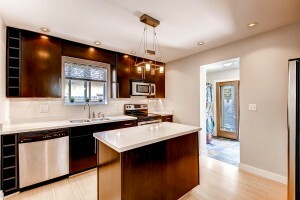 The seller had some amazing upgrades that would definitely cause many people to fall in love with the home. And the home was immaculately maintained. However a previous listing listed this as a 3 bedroom home and it was only 2 bedrooms. And with a list price of $475,000 it was priced at $373 per square foot which was much higher than other similar square footage Whittier Neighborhood homes that had sold at an average of $277 per square foot. But this Whittier neighborhood home lies in the far northeast corner of the neighborhood. A location that is undesirable to some but closer to the new commuter rail going in at 38th and closer to the highly sought after Curtis Park neighborhood. Curtis Park had no recent comparable, similar sales, and therefore was not represented in the analysis of $277 per square foot. In the end the home sold for $409,000 or $321 per square, more than any other 2 bedroom Whittier neighborhood home had sold for. 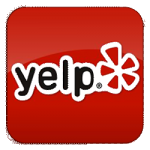 How much did the seller save using my Denver flat fee real estate listing services? Additionally the seller saved $6,452 using my flat fee realtor services. For my $5,000 flat fee real estate listing services they still received full service marketing the property with professional photography and flyers, full service organizing showings and negotiating with prospective buyers, and full service during the escrow process. 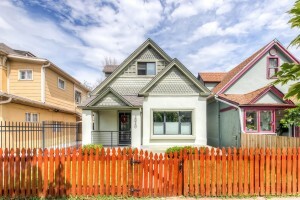 See the Denver flat fee real estate listing in the Whittier Neighborhood below. This historic Whittier home offers complete urban convenience. One block from the D-line Downing light rail station for easy-access to downtown, less than 2 blocks to Curtis Park, 5 blocks (0.5 miles) to Larimer strip in RiNo (Populist, Infinite Monkey Theorem … & tons of breweries!). In addition to the fact that RiNo and Welton Street are popping with new, awesome developments, this house is incredible. This solid brick home has a beautiful front porch for people watching. The bright and light open layout are perfect for entertaining. Enjoy the best of both worlds with an updated and modern interior that preserves all of the character and charm of a historic Denver home. 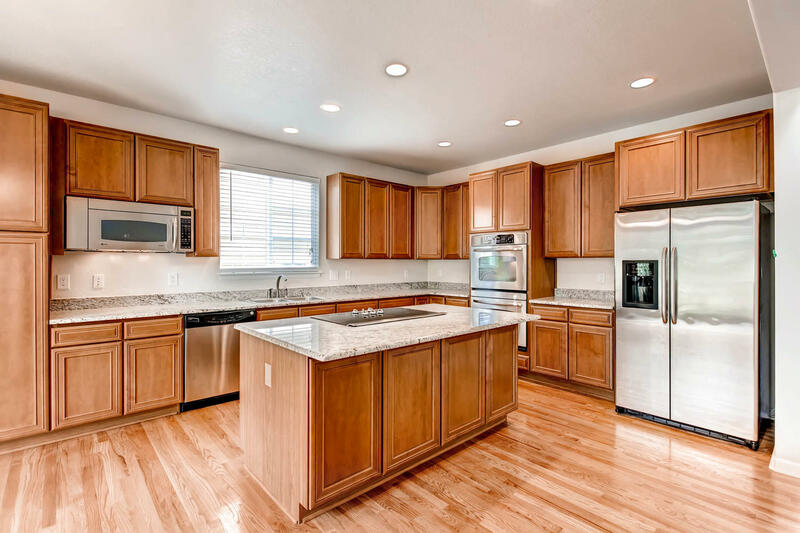 Stainless steal appliances, cherry cabinets, and quartz counter-tops in the kitchen make this home the complete package. Bamboo floors. Alley access in back presents an opportunity to build a garage. 2 spacious bedrooms and an office. Must see home. Scroll down to see other custom Escavera, Castle Rock homes for sale. Escavera Custom Home With Mountain Views – Coming Soon. Call or text Christopher Gibson at 720-449-6622 with questions. Gorgeous curb appeal and stunning detail throughout this 2-story custom home backing to 50 acres of trail and open space. Colorado mountain views define this home, with vantage points from the master bedroom, deck, kitchen, and family room. Beautiful finishes include a travertine entry way, main level hickory floors, inset lighting, and alder doors. A 2nd floor master retreat with panoramic mountain views, main floor jack & jill bedrooms and a main floor office with a private entry from the front courtyard create functionality for a variety of lifestyles. Offering a spacious eat-in kitchen with custom cherry cabinets, granite counters, gas fireplace and stainless steel appliances opening to deck with mountain vistas overlooking the walking trail below. The private master floor is accessed through a wide spiral staircase, opening to a landing and bridge overlooking the living room with vistas out the west facing windows. A fireplace, huge walk in closet, plantation shutters, and double vanity create a serene retreat. Garden level windows provide plenty of light to the lower level master bedroom and large spare bedroom with custom inset shelving that will allow visitors all the comforts and privacy of home. 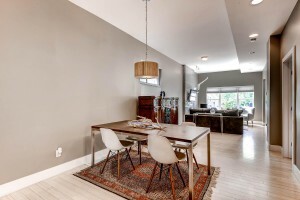 Light & bright walkout lower level with wine cellar, wet bar and recreation room. Gas connections on lower level back patio and main level back porch. Level yard area in back surrounded by professional natural landscaping. Dining room with inset lighting and french doors opening to front courtyard. Price Adjustment On 3921 Nassau Circle West, Cherry Hills Village offering a main floor living option. See MLS #7521414 for details. Price adjusted from $1,325,000 to $1,285,000. Gorgeous curb appeal and stunning detail throughout this 4 bedroom ranch in a desirable cul de sac in Cherry Hills North. Featuring 3,190 sq. ft. of living space on the main level, thoughtful updates and a new roof. The dining room and living room/office have large bay windows. Design features on the main level include a marble entry, hardwood floors, crown molding and plantation shutters. Located in the Cherry Creek School District with Cherry Hills Elementary School. 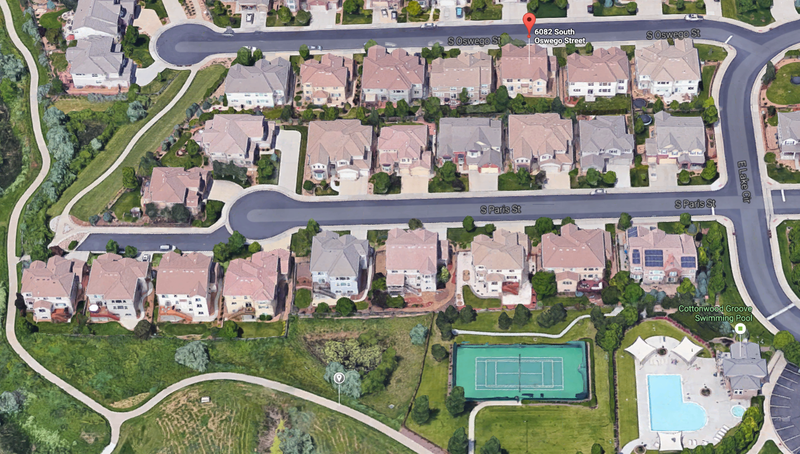 Cherry Hills North is conveniently situated with easy access to the Denver Tech Center and downtown Denver. Offering a large eat-in kitchen with custom cherry cabinets, granite counters and stainless steel appliances opening to a flagstone patio. The spacious family room has a vaulted ceiling and a sliding French door that opens to alfresco dining. 3 bedrooms on the main level each with ensuite and walk-in-closet. The backyard is a beautiful retreat with flagstone and decorative concrete hardscape. Mature trees and lush landscape finish a serene outdoor living space for dining and entertaining. Call or text Christopher Gibson at 720-449-6622 for more information. See the full tour at 3921NassauCirWest.com. Save THOUSANDS on Denver REALTOR® fees. List your home for sale for $3,000 + 2.8% (offered to the agent that brings the buyer). and make sure you get the most money with the least stress. I will do it better and cheaper than anyone else out there. Click here to see all the marketing you get for $3,000 + 2.8% (offered to the agent that brings the buyer) . There is 1/4 of the available business out there for more agents than ever to fight for. Why shouldn’t you get a good deal on a listing agent? 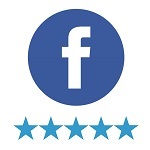 Click here, or on Testimonials above to see my reviews. I am featured in 5280 Magazine as a Five Star Professional as a result of my high level of customer satisfaction. If my clients are unsatisfied they can cancel our agreement at any time.